Surf’s up, so grab an inner tube and ride the eight different Wave types-some reaching 4 feet high. You’ll being thoroughly entertained as you listen to the beat of the sounds blaring from the speakers or cheer for the best act in the karaoke contest coming from the high-tech stage that sets in the backdrop of the wave pool. Wild Water & Wheels is fun for all ages. 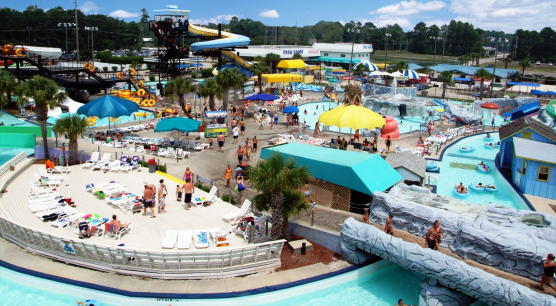 Enjoy over 13 different water rides including Wipeout Wave Pool, Lazy River and our white water express! Junior Racers for 6-9 year olds, Speed Racers for 12 and up give a real speed around the track experience. Go Carts and the Slick Track are great fun for 10 and up. And don’t forget the miniature golf course. Spend the day… and the evening, too.